This modern media center appears to float in the room. 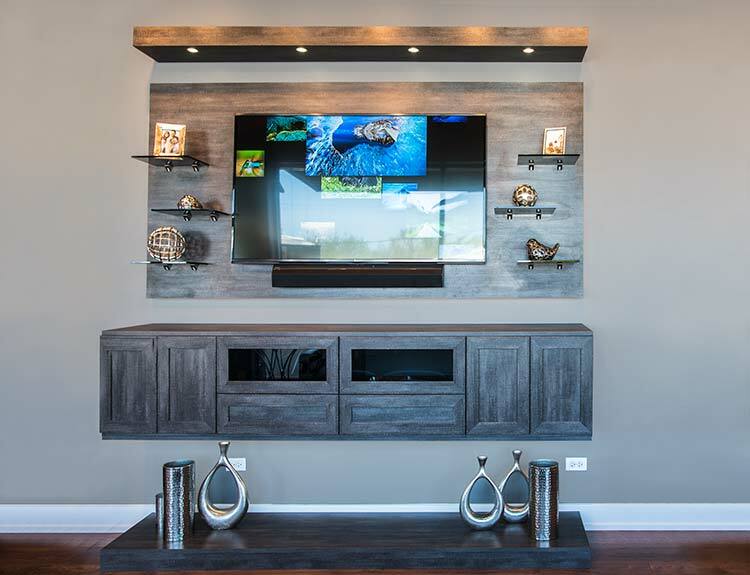 Composed of four main pieces — an upper light bridge, a central panel for the flat screen, a credenza for holding electronic equipment, and a base unit — the design of this system seems weightless. In addition, this media utilizes an LED lighting system, further customizing the look of the piece and the whole room. The base unit serves to anchor the media center visually, although it does not provide any structural support. 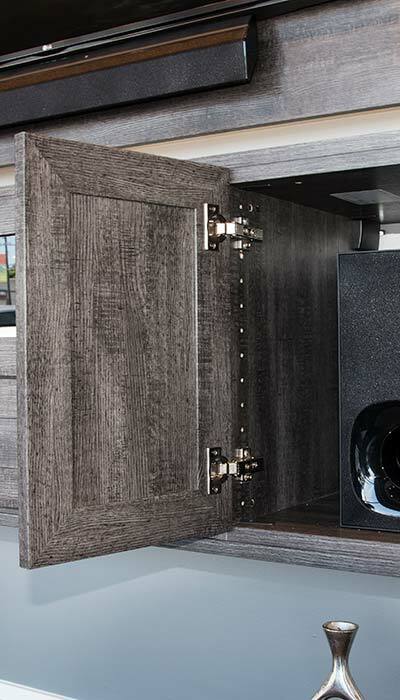 The central console includes cabinets to house all the electronic equipment — audio components, cable TV box, etc. 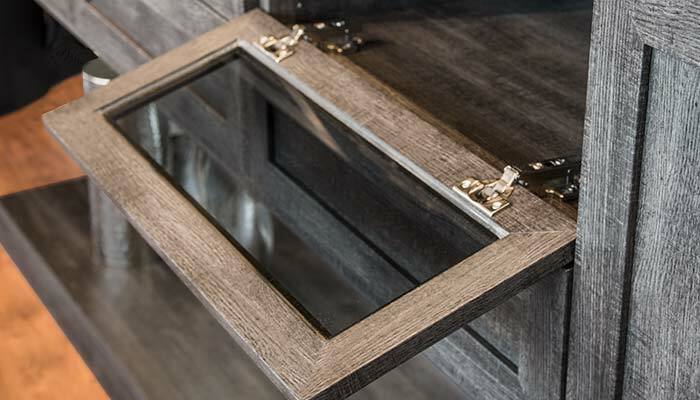 Two drop down doors with smoked glass panels on the center cabinets of this credenza are especially convenient for making adjustment to knobs and controls. 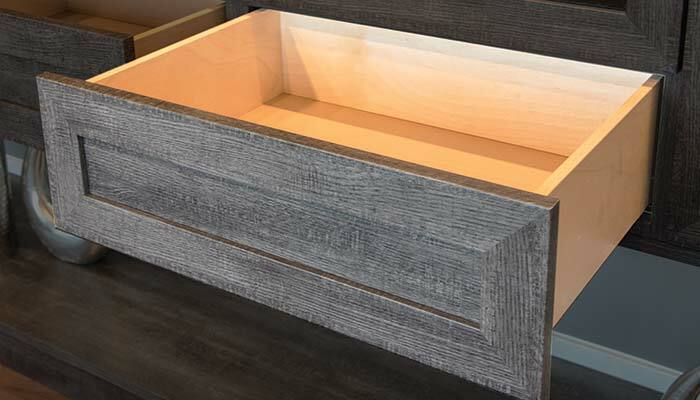 An under cabinet light strip illuminates the area between the credenza and base at night. The main panel includes room for a flat screen television across the front. This panel is mounted slightly away from the wall to allow for the installation of LED rope lighting on the sides, furthering the illusion that the system floats in mid air. 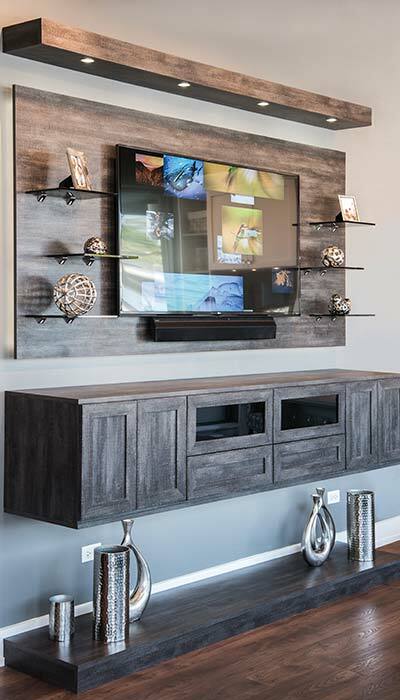 Glass accent shelves are included for displaying art and memorabilia, but don't add any visual weight to the panel and allow light from the custom lighting system to pass through. 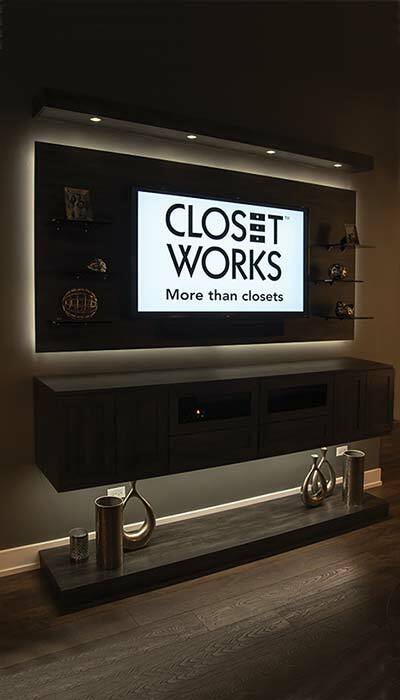 The upper light bar serves to define the top of the unit, and includes LED puck lights to shine down on the credenza. 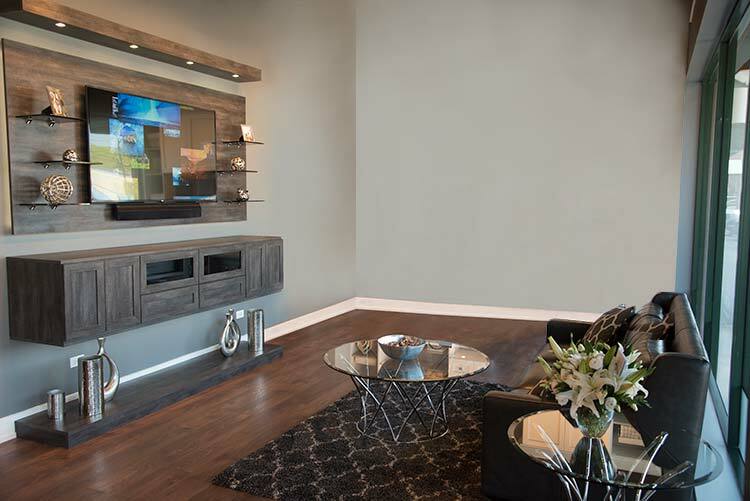 This floating media center adds a modernist aesthetic to the room, blurring the line between furniture and art. At night, the custom LED lighting system turns this functional piece into a dramatic light show with soft and elegant illumination. All the lights are controlled by remote, wireless switches and are fully customizable.